We are a team of five Estonian gamedevs connected by the game development course in University of Tartu. Two teammembers (game designer & lead developer) are teachers of the course, and two teammembers (lead artist and assistant coder) are course students. We realized working together was effective and joined forces as studio Interactive Fate. Our fifth, remotely working teammember is music and sound specialist from the movie industry. Our core teammembers each have about five years of indie game development experience. Edvin & Toomas (teachers of the game development course) have overseen and coached about 15 game development teams/projects since beginning of the course three years ago. Our team leader/game designer released a roguelike called Teleglitch together with Test3Projects (and later published together with Paradox Interactive), which became the first Estonian game on Steam and received over 100K+ paid downloads. Teleglitch also earned high praise from game press critics and became the internationally most well reviewed Estonian game in about 4 months after it's release (Metacritic score 84). The game we are making? We are building a space exploration roguelike where you can take the role of Rogue Ambassador, an independent space agent who commands a personal fleet of spaceships. Rogue ambassadors are basically unofficial agents, spies or diplomats who operate under cover and can work dirty if there are no other alternatives, doing the tasks that can't be done through official channels. Everything in Rogue Ambassador takes place in a persistent and evolving universe filled with procedurally created starsystems, alien empires and beautiful detail. 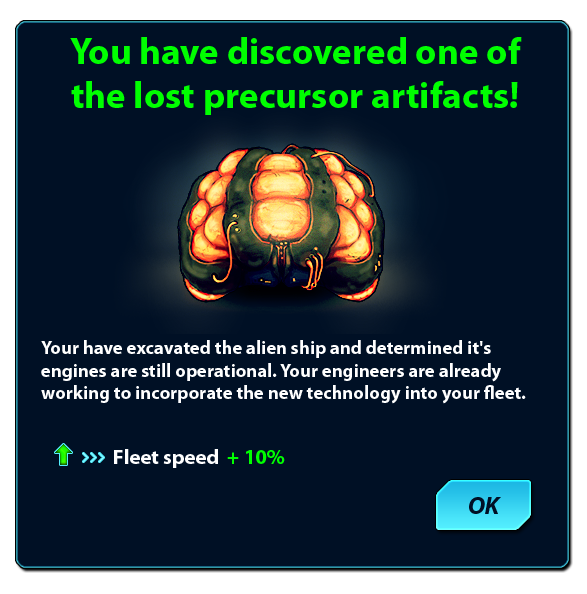 The player's main goal is finding all of the lost precursor artifacts scattered about in the galaxy. Every roguelike mission will feature a chance to find some of them, letting you integrate the scavenged supertechnology into your spaceships. Some tech pieces have been already found by other spacefaring species or primitive aliens who are using them as magic artifacts, and the ambassadors must use all their trading, negotiation or military skills to get hold of them.